Open to community members and students, auditions will be held 6:30 p.m. Friday, Jan. 13, in the Edward K. Daniels Auditorium on Southern State Community College’s Central Campus, 100 Hobart Drive, Hillsboro. In the Theatre of the Absurd’ s “Waiting for Godot,” two tramps – Estragon and Vladimir – meet on a road, beside a tree. They are very happy to see each other, having been separated for an unspecified amount of time. Estragon has a sore foot and has trouble removing his boot. He tells Vladimir that he was beaten the previous evening. The two men remember that they are supposed to wait under a tree on a Saturday for a man named Godot. It appears they do not remember Godot very well, but they think he was going to give them an answer. They cannot remember the question. Those interested in auditioning should prepare and memorize a comedic one- to two-minute monologue. Those interested on working in available crew positions will be asked to complete an interview the night of auditions. The cast will be comprised entirely of men, but men and women are being sought for crew. If interested in auditioning, but unavailable to attend the audition date, please contact Director Rainee Angles (rangles@sscc.edu) to schedule an alternate audition date prior to Jan. 13. 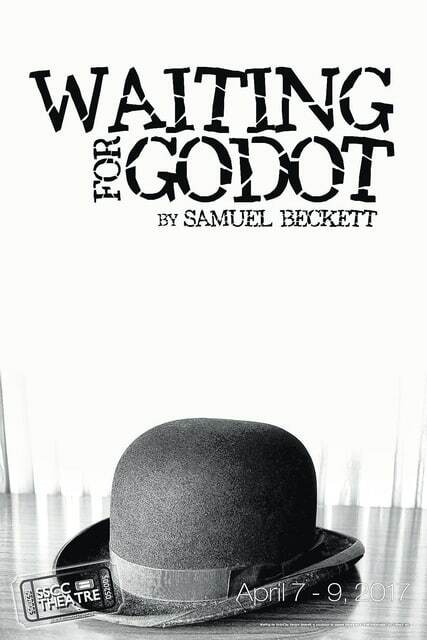 For more information about “Waiting for Godot,” available roles, and a rehearsal schedule, please visit www.sscctheatre.com.